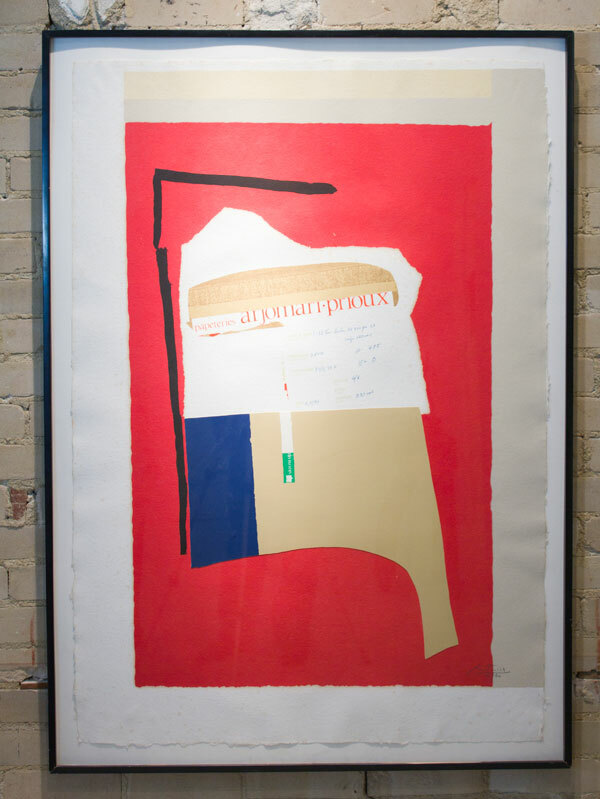 An articulate, intellectual talent among the abstract expressionists, Robert Motherwell was born in 1915 in the State of Washington. While attending Stanford University (1932–1937), Motherwell took his first trip to Europe. After receiving his undergraduate degree, he began graduate coursework in philosophy at Harvard University. During a stay in Europe in 1938–1939, he had his first one-person exhibition in Paris. In 1940, he studied art history with Meyer Schapiro at Columbia University, and through Schapiro, he met many European surrealist painters. 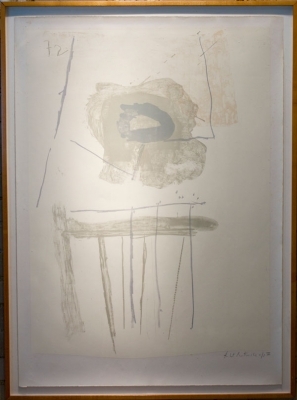 Motherwell soon devoted most of his time to painting. After settling in New York in 1941, he began writing and lecturing on modern art and became associated with the group of American artists whose work had been influenced by the surrealists’ ideas of automatism, a process of making art through subconscious free association—Jackson Pollock, Willem de Kooning, William Baziotes, and Hans Hofmann. Motherwell, the youngest of this group of abstract painters, sought to create imagery that communicated the emotional truths of an authentic self and reflected a collective human consciousness. In 1944 Motherwell held his first New York solo exhibition at Peggy Guggenheim’s Art of This Century gallery; that same year the Museum of Modern Art was the first museum to purchase one of his works. By 1949 Motherwell reached his mature style, creating large paintings that employ simple shapes in a manner reminiscent of Franz Kline’s forceful black on white images. 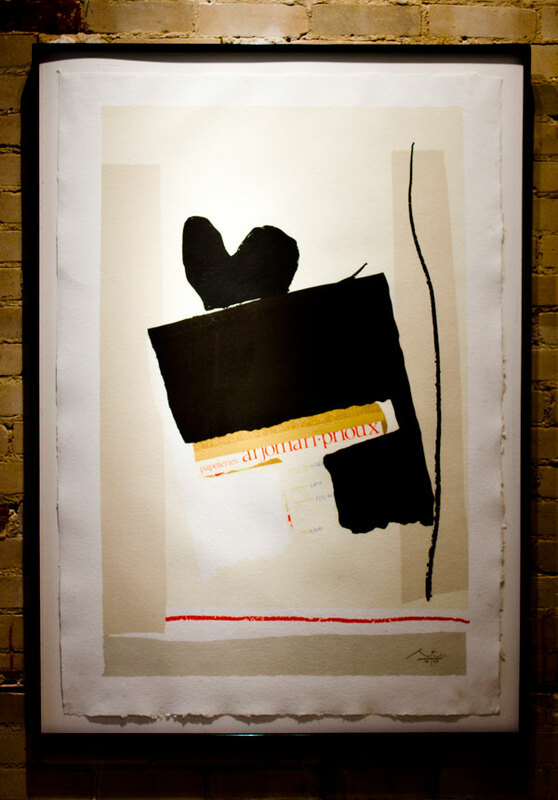 Unlike Kline, Motherwell’s paintings had a strong political and literary content, specifically in his Elegy to the Spanish Republic series, for which he was best known. 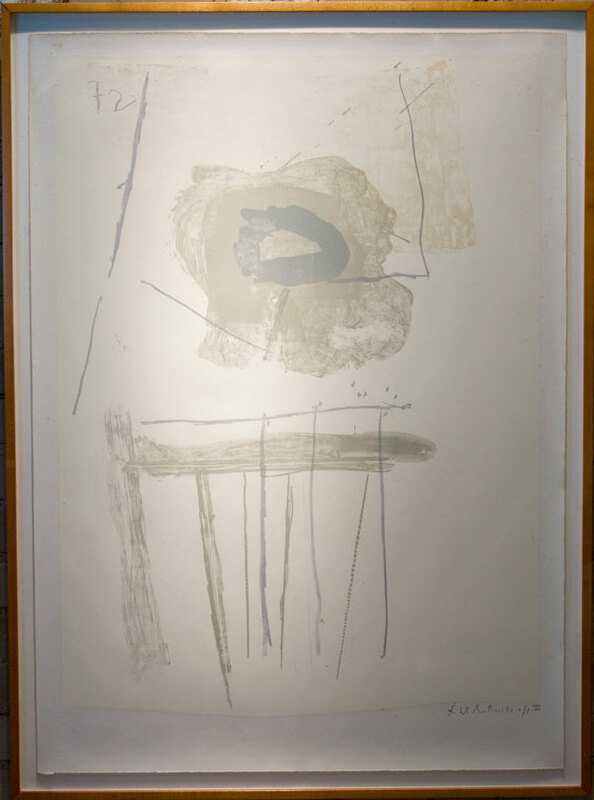 Motherwell underwent a period of frustration during the mid 1950s, when he seldom exhibited and had destroyed many works. Between 1959 and 1961, however, he experienced a renewal of creativity, experimenting and refining his Elegy to the Spanish Republic series, creating a new series of oils, and executing numerous collages, including The Phillips Collection’s Mail Figure. 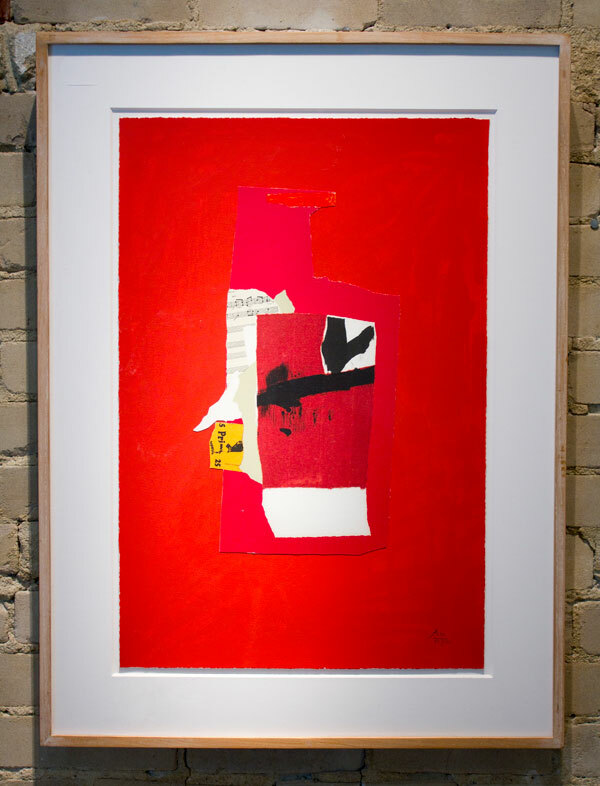 To order any of Robert’s work please complete the form below stating Robert Motherwell‘s name in the message area and I will contact you as soon as possible. Or call Judy Ferrara directly at 1-574-276-6001.